We would like to welcome you to the MWC website. The Mukwonago Wrestling Club is a non-profit 100% volunteer organization governed by a set of Articles & Bi Laws and elects a board of directors to guide the club in day to day tasks. We provide wrestling training to kindergarten through 8th grade students for boys and girls that want to learn and develop in the sport. This Mukwonago Wrestling Club was established 1983. The club is a non-profit 100% volunteer organization governed by a set of Articles & Bi Laws and elects a board of directors to guide the club in day to day tasks. The Mukwonago Wrestling Club is guided both by the state organization Wisconsin Wrestling Federation and the national organization USA Wrestling. We are dedicated to fostering, promoting and encouraging the sport of wrestling in the Mukwonago community, by providing the opportunities for its members to get introduced and compete in our great sport and to be a model club among Wisconsin best sanctioned Wrestling Clubs. 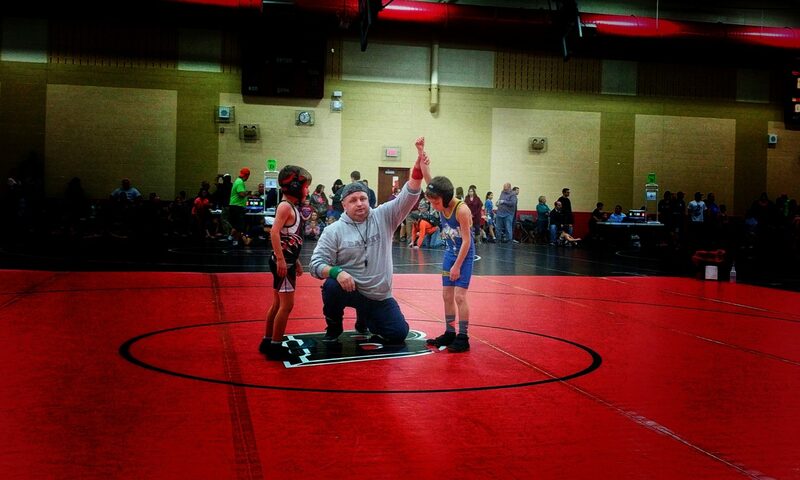 The simple goal of the Mukwonago Wrestling Club is to introduce your child to the sport. We want your child to have a fun and positive experience. Like most athletic activities, we will emphasize the fundamentals of the sport, including the basic for the younger group and older group along with advanced skills targeted for the more experienced wrestlers. We accomplish this through drills and technique provided by our trained coaching staff. We focus on both the mental aspect as well as the physical. We work to keep a balance between these to provide the most we can for each child. We do this through positive reinforcement as well as mental training ( Mindset training for older group ) when we can provide it. We take pride in our club as it is a reflection of us. As such there are many things we accomplish to get where we are today. With all that hard work comes some failures, but more successes. One achievement we are very proud of is our board and our coaching staff. All our coaches and board member have to go through Safe Sport Training and a background check which allows us to be prepared for situation and also provides a safe environment for your child to grow in. 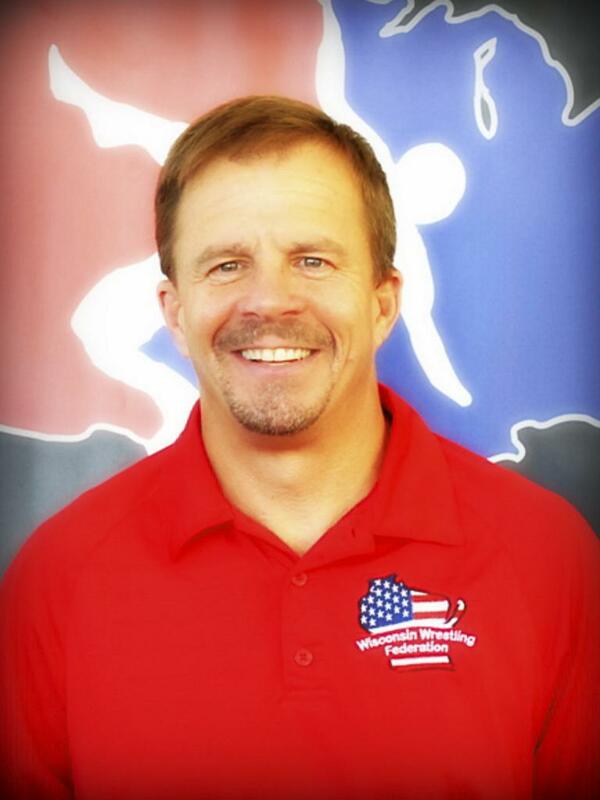 Along with the safesport and background check all our coaches have to be bronze certified by USA Wrestling. This club was established 1983 and has worked hard to earn is position in the state. Since being founded we have been rated a top 50 club by USA Wrestling along with molding many state champions and developed many young men. To view who has won these awards in the past please view our history of the awards. All these awards are also dependent on your attendance which we take each practice. We do this to demonstrate responsibility and accountability for our wrestlers. We also provide an award for working hard throughout the year. These awards are earned through our “Grizzly Point” system. Grizzly points will be awarded for a number of things; practice attendance, attending tournaments, for pins, wins and push-ups. These points will be tallied for the Awards at our year-end celebration. There are also many activities throughout the year for our club. We adopted a highway so two times a year we, as a club, clean up the road that we have adopted (High I between EE and Sugden Rd). This active is held over the summer allowing us to get together in the off season. Every year we have a “Pizza Making” day. This day is for the parents and some of the older children to get together and assist in the making of pizzas from our fundraiser. The last few years we have made over 2000 pizzas and create many new friendships in the club. We also host a “Mini Grizzly” for the younger group. This is a fun activate at the end of the year for our younger wrestling’s. It provides them an opportunity to experience a small scale tournament with their fellow MWC wrestlers. We create a round robin bracket for fellow members, a projector to show them how to watch for where they wrestle, and a full 3 period match for each opponent. Once done each wrestler receives a medal to show their accomplishments from the tournament. During the “Mini Grizzly” the older group will be assisting working the table giving them the opportunity to watch the younger group and give them experience in tracking points and responsible for managing the clock. Once a year we organize a travel tournament for those who would like to come. We try to pick a tournament in a more remote location (Green Bay / Dells) and book a block of rooms for a hotel with a pool. This gives us chance to get to know some of our fellow members and build a bond between our wrestling families. One of the largest activities we do is host a well renowned wrestling tournament at Mukwonago High School. This tournament is a lot of work and as a club we have developed a positive experience for the over 600 wrestlers that we have in the high school. Practice for the K – 3rd Grade students will be Monday and Wednesday between 6:00pm to 7:10pm. The season for this group starts in December and will end in the beginning of March. For our younger group we try to provide a positive experience for them. We focus more on having fun and providing a happy and exciting environment. Focusing on the basics we provide a place to run off some energy through structured exercises. We start with the basic drills trying to give them a chance to repeat simple moves to build coordination. We work on balance and awareness of the mat and its surroundings. All children are different and each parent should make their own choice for what is best for their children. As a club we do not recommend many, if any, tournaments for younger children. Some children may be ready for tournament competition in their 1st year; others develop this confidence later. There is often a “Beginners” tournament where only first year wrestlers are allowed to join. We suggest this tournament for our rookies. We also provide our clubs “Mini Grizzly” which is a small tournament that is run during our last practice. This Mini Grizzly is only between our Mukwonago wrestling club members and gives the kids a chance to experience a tournament environment on a small scale. For more information please feel free to go to our Parents Guide and browse additional links and documents that will help guide you on this wrestling journey. Practice for the 4th – 8th Grade students will be Monday and Wednesday between 7:00pm to 8:30pm. There will be an additional practice Fridays 6:00pm to 7:15pm. Once the folkstyle season is over in March, the practices will move to Monday, Wednesday, and Friday 6:00pm to 7:30pm. These practices will focus on Greco-Roman and freestyle. This group we have provided “Mindset” which gives them a way to deal with the mental aspect of wrestling. This will allow them to deal with the mental portion better with activities and simulations that they can walk through to better cope with lose. It also provides a way for them to set goals to reach there true potential. This club provides an opportunity to learn the Olympic style of wrestling. These styles are extremely exciting and very different then the folkstyle that is used in the school systems. Folk style is what is done in grade school, middle school, high school and collegiate levels. The season for Greco and Freestyle goes from March to April and is for the more advanced wrestlers. The practices are held Monday, Wednesday, and Friday from 6:00pm to 7:30pm each week. Greco-Roman wrestling is a world-wide wrestling style. it has been held in every Olympics since 1908. This style is purely an upper body sport. It does not allow holding anyone below the waist. This is the largest difference between the folkstyle that is taught throughout the regular season. We will use this extended season to show all the rules and different style of moves to use for this type of wrestling. For this style we work to develop the wrestlers core. Working on their core will give them great awareness of their position and leverage. Freestyle is another world-wide style that is also used in the Olympics. This style has been part of the Olympics since 1904. Freestyle wrestling brings together traditional folk style wrestling , judo, and sambo technics. The rules are very different then both Greco and Folkstyle. This includes receiving points just for turning a opponents should towards the mat and there is no 3 count for a pin. As soon as both shoulders touch the mat the opponent is pinned. For this style we focus on speed and agility. Of course these are used in all styles of wrestling but freestyle is a very fast paced style.